Markets of interest are mainly the markets of old. Or, it may seem so. There just is something special to people and produce being brought together, traded individually, maybe bargained for,… but even supermarkets can give an insight into differences between regions and cuisines. 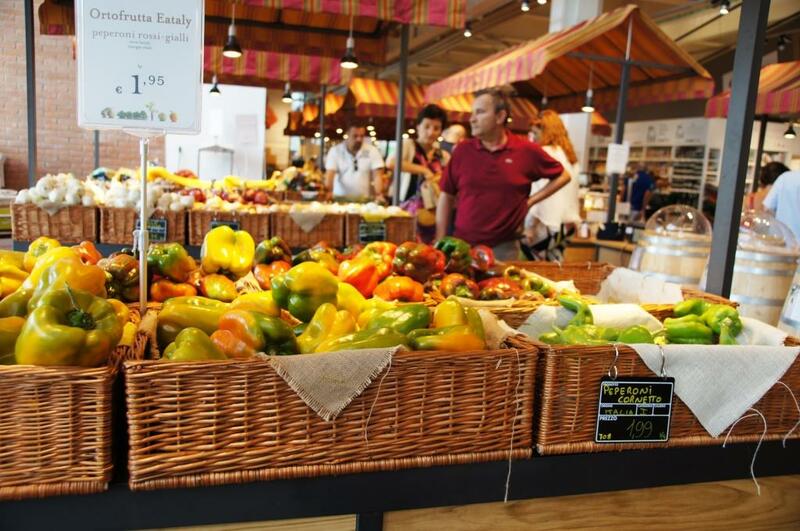 The “Eataly” markets (.com / .it) are another matter again. First, they are focused on products from Italy itself, not just from anywhere, let alone any usual multinational. And even with this focus on Italy, it still goes deeper, into regionality and a better-still knowledge of where exactly those products come from. Like we saw with quite a bit of ice cream in Italy, when there’s a product that’s famous as being the product of a particular place, this is mentioned and marketed. So, it’s not just hazelnuts, but the variety Tondo Gentile delle Langhe. Not just any pistachioes, but those of Bronte. Almonds from Noto. Lemons from the Amalfi Coast. It’s a veritable lesson in the geography of highly-regarded Italian produce. 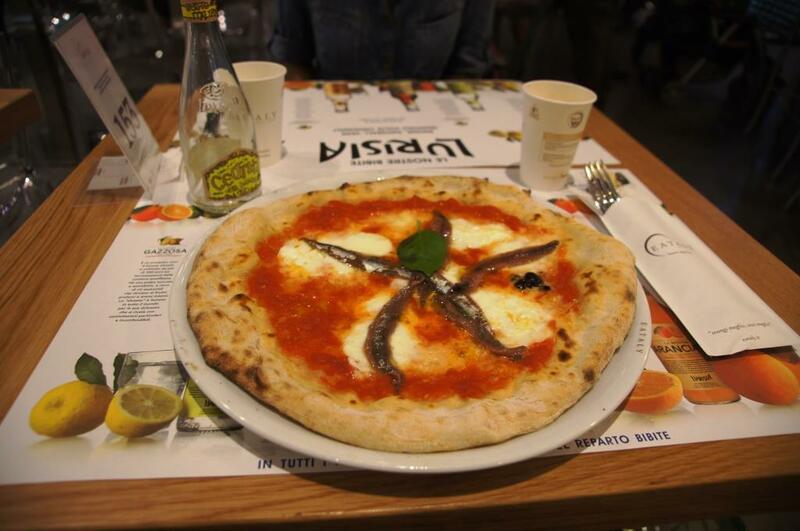 Then, Eataly isn’t just like a supermarket, it’s also a series of restaurants. You can’t just buy the products to cook with, you can also get dishes freshly made of them, made to suit their seasonal availability, right there. 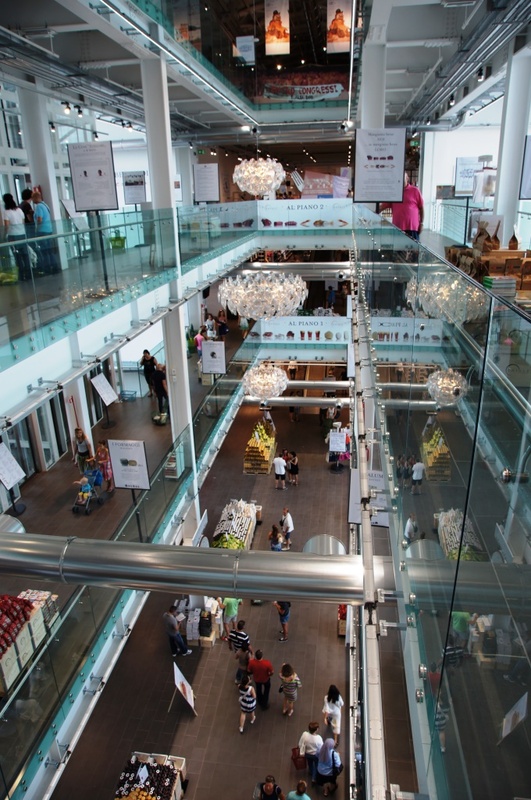 In many ways, it’s like the diversity and liveliness of Chinese local markets, combined with the cleanliness and modern architecture and product presentation (but also prices) of high-scale supermarkets… (of which China’s big cities, certainly Beijing, Shanghai, and Hong Kong, also have a few, by the way).